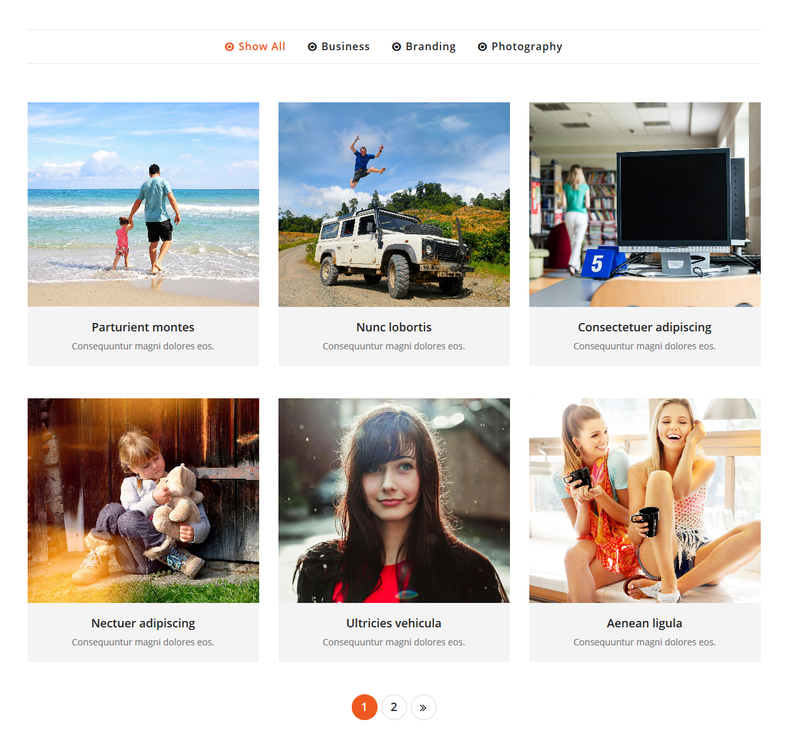 There is an awesome stylish portfolio feature in Appointment Theme. You can display all your project’s using the portfolio feature. Every client / customers want to see your portfolio on website. Appointment theme has an inbuilt feature to add sort-able portfolio. You can create category wise portfolio so that your visitor can click on the category and see the projects related to that category.The theme has three types of templates 2 column, 3 column and 4 column depending on your layout requirement you can use the respective templates. You can select any one template for the portfolio. I will explain you how it looks portfolio in Appointment Theme. Refer attach a screenshot below and follow these steps. 1. Create a Portfolio Category? Firstly, If you need to create categorized portfolio than for that you have to create a portfolio category. Minimum 2 category is required for portfolio filter. Here you can see a form for adding category. Enter category name and click on Add New Category button. Now your category will display in right side. Now we need to add some projects in the categories. Enter project details as shown in the snapshot below like name, description, portfolio/project link, image and select category from right side. Finally Save & Publish this project and check your portfolio page. You can manage portfolio in 2 column, 3 column and 4 column layout. You have to select any of the template for page if you want to portfolio. As you can see in the demo portfolio is also shown on homepage in the carousel form. Carousel slider means that your project will change with a specific time interval. Let see how to display project on homepage. If you want to hide project from homepage. Check Hide Home Project Setting. Enter project title and description for homepage project section. Enter Input number of project. How much you want to show on Homepage? You can select Column for Category Archive Template. 4. How to display Project / Portfolio on Page? There are 3 template for portfolio page. You can set column layout for portfolio page. 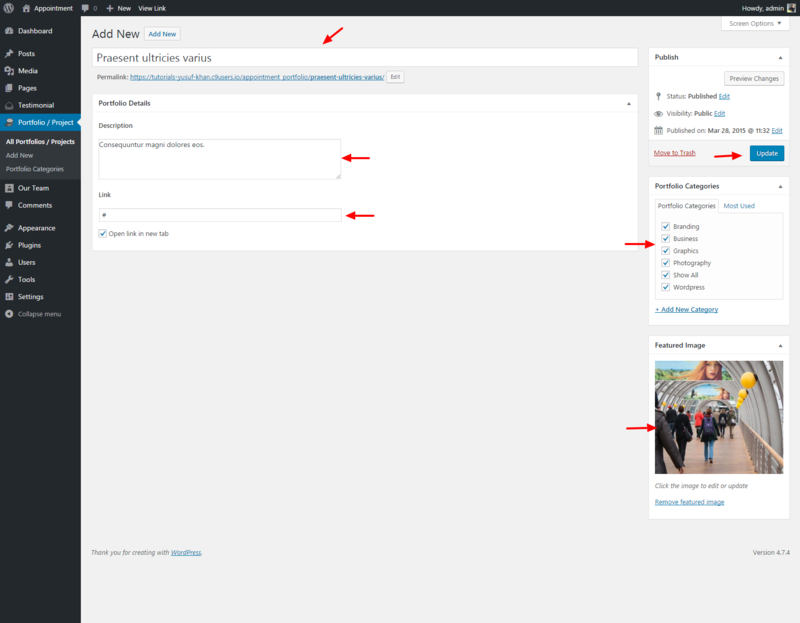 Here you can select template using page template and publish. Refer attach screenshot. The above mentioned instructions will help you to configure portfolio if you still not clear about the process, than, kindly create a ticket related to this on our support channel.